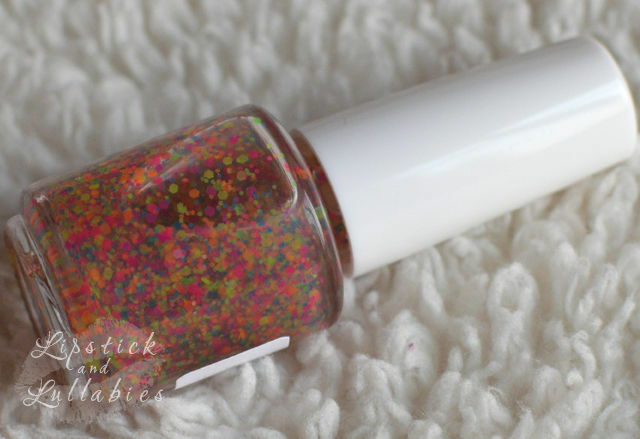 Freckles is absolutely adorable! 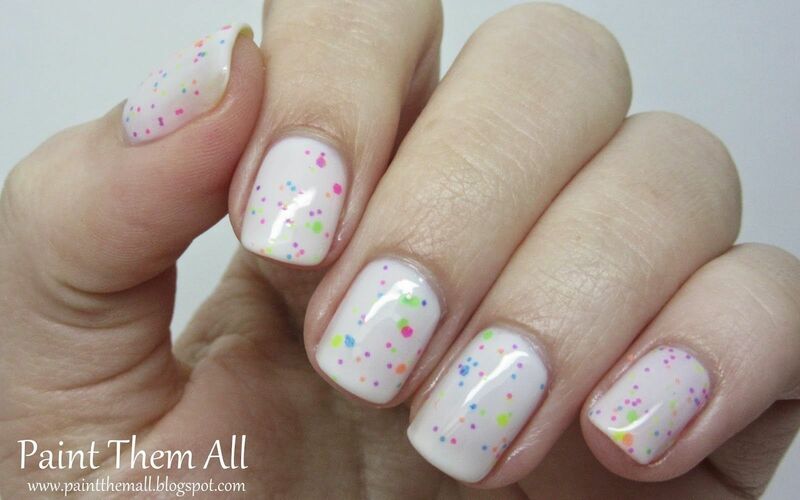 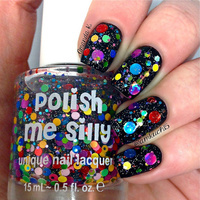 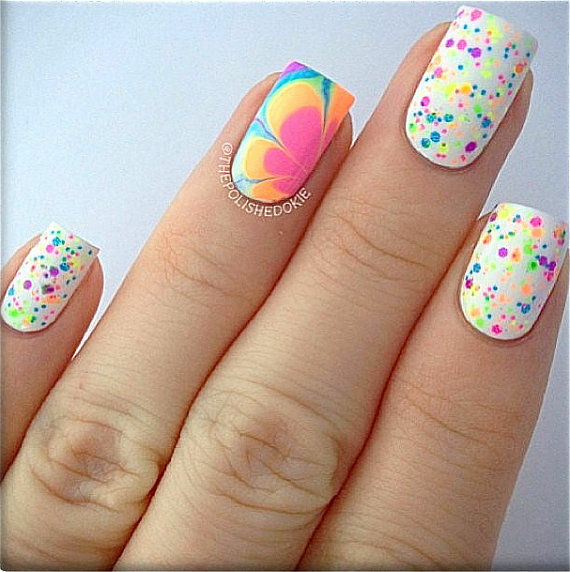 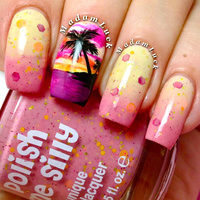 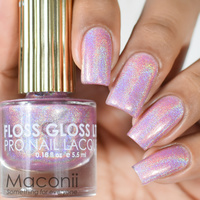 Whether you're out to party or just wanting something fun, this polish will brighten your day! 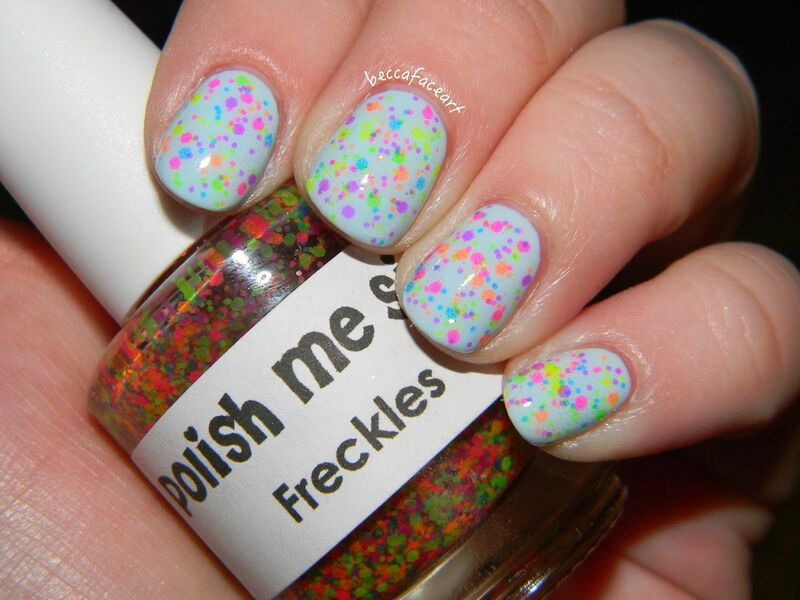 Using a combo of gorgeous neon and smaller sized glitters, this is every glitter lover's dream! 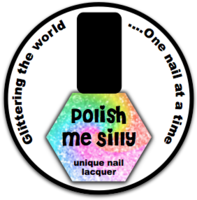 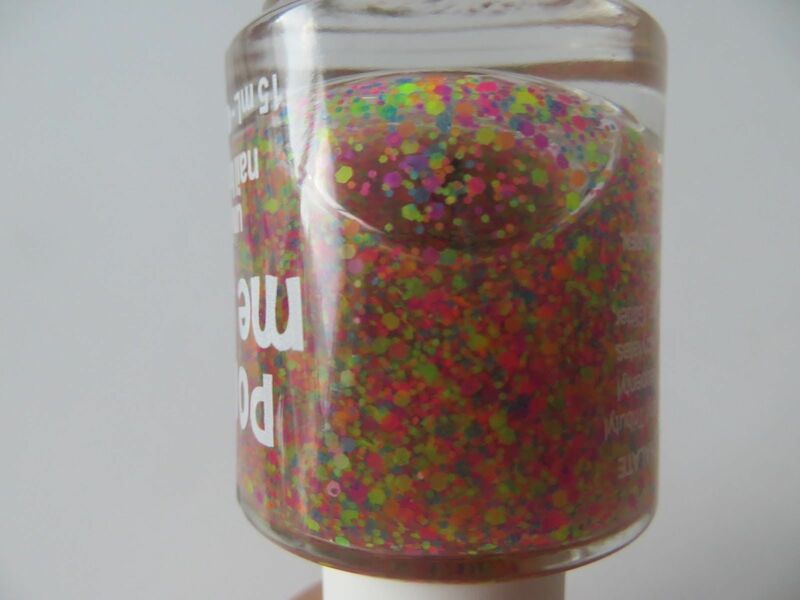 The glitters in this polish are suspended in a CLEAR BASE so it can be as versatile as possible. 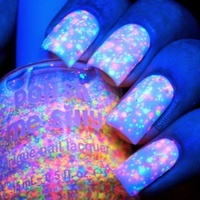 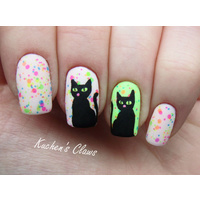 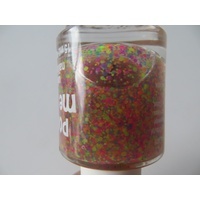 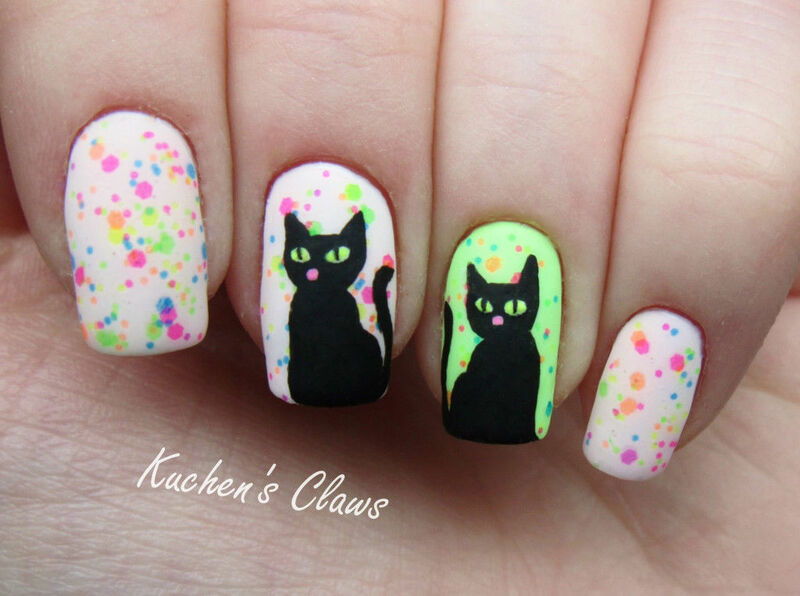 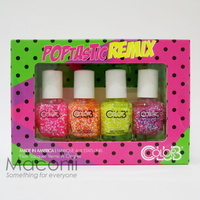 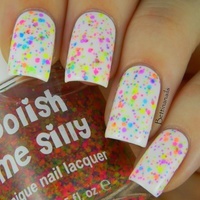 The glitters are transparent so you will need a coloured base to make these neon glitters POP! 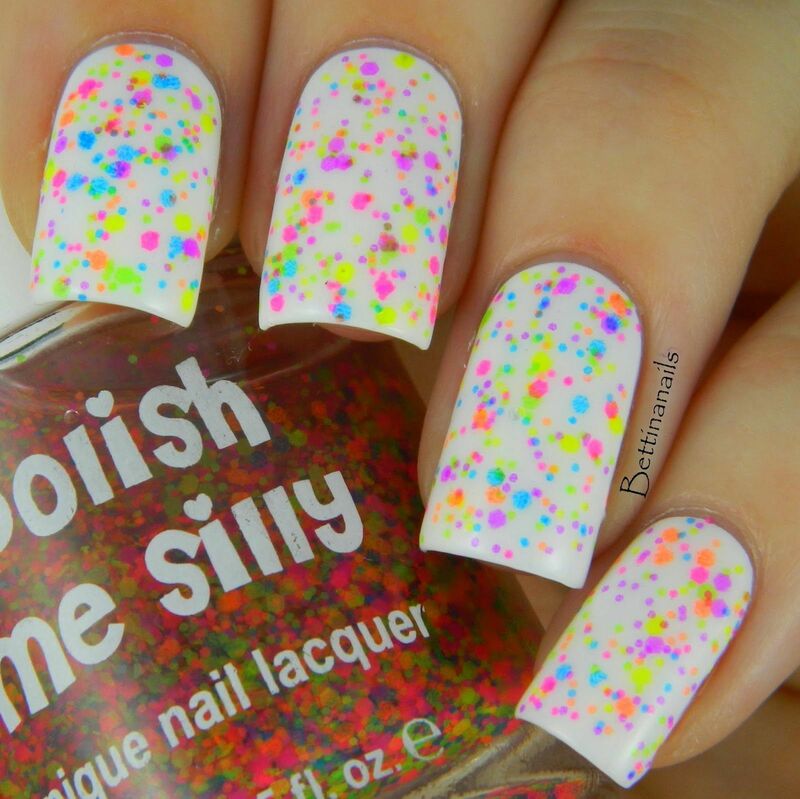 Don't be afraid to get creative! This topper GLOWS under BLACK LIGHTS! 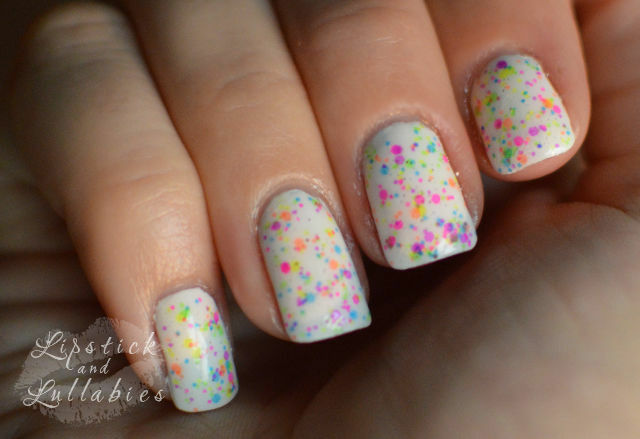 Images show Freckles painted with 1-3 layers over a COLOURED base.